CBIL360 is a futuristic web development company with a global presence. It delivers cutting-edge digital services and has a team of whiz kids who create magic with technology and brilliant ideas. We have strong senior team of designers, developers and SEOs who consistently work to improve the quality and deliver solutions that take businesses to the next level. 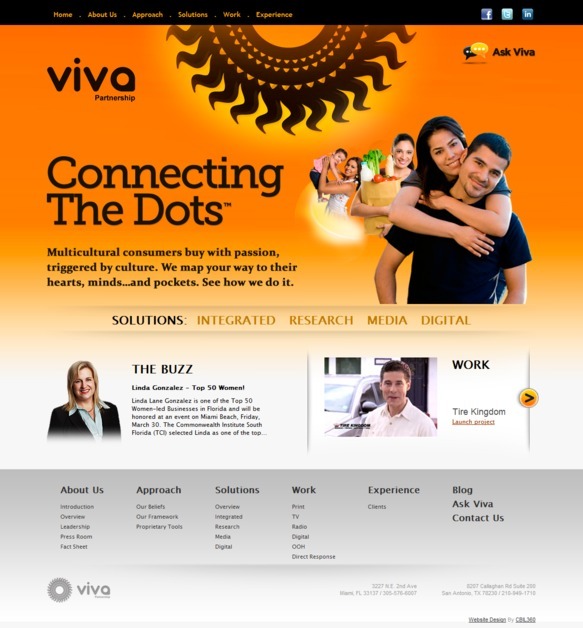 Viva Partnership is complete service, marketing, media and research organization. it provides excellent solutions to their clients need to restructure and grow their business. Recently ViVA developed Shopper Marketing platform for its Fortune 500 clients and their sales increased by 20% .